It is amazing to see the influence of The Slave Dwelling Project become so wide-spread. Because of what they represent, I find it so incredible that the slave dwellings have such great potential to revitalize the economy today. Who would have thought? They also serve a dual purpose when you think about telling the complete story. What great history to see Joe visit a property once owned by William Faulkner. I anticipate more and more African Americans coming forward as they recognize this work has the great potential of connecting them to their ancestors. We have doors opening here that will help us to really learn what our ancestors were made of. 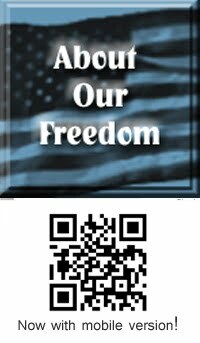 Remember, we possess it as well! 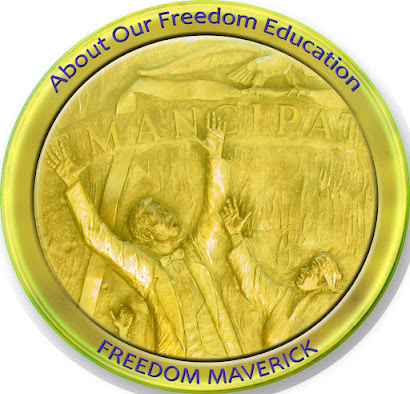 Freedom is knowing who you are and from whence you came. I am especially excited to see this work move forward in Mississippi. Researching Mississippi ancestors is relentless even with the oral history that was passed down to me. Thanks, Joe! Thank you, Jenifer Eggleston and Chelius Carter, for taking a giant leap and including the story behind the big house. The Slave Dwelling Project on Facebook! I met Jenifer Eggleston ten years ago when I started working for the National Trust for Historic Preservation. While she worked in the Washington, DC office, she came to Charleston, SC to fulfill a requirement of her duties. Right after Hurricane Katrina Jenifer was no longer employed with the National Trust but we both worked on matters of preservation in New Orleans. Last year, Jenifer contacted me with an idea that she had about me participating in the 74 th Annual Holly Springs Pilgrimage Tour of Historic Homes which is an annual tour of the mansions in the town. Jenifer’s grand idea was to combine the pilgrimage with the Slave Dwelling Project and seek a funder that could help make it happen. Similar to the trip that I took to Missouri, the tentative date that we set for the trip to Mississippi was pending approval of the grant request. Like Missouri the proposal was approved through the state’s Humanities Council. From the time that I tentatively put this event on my calendar, I was skeptical because the Mississippi history etched in my mind was not pleasant. Medger Evers, Emmitt Till, James Chaney, Andrew Goodman, Michael Schwerner were all killed in the state of Mississippi in pursuit of their happiness. The movie Mississippi Burning as well as two books that I read recently, "Rising Tide" by John M. Barry and "The Warmth of Other Suns" by Isabel Wilkerson did not paint a good picture of the treatment of African Americans in the state of Mississippi. I knew that in order for me to carry on with this assignment I had to get past those atrocities by thinking of them as history, Hollywood, and books based on past accounts. Presentation about The Slave Dwelling Project (See more photos from Behind the Big House Tour album). 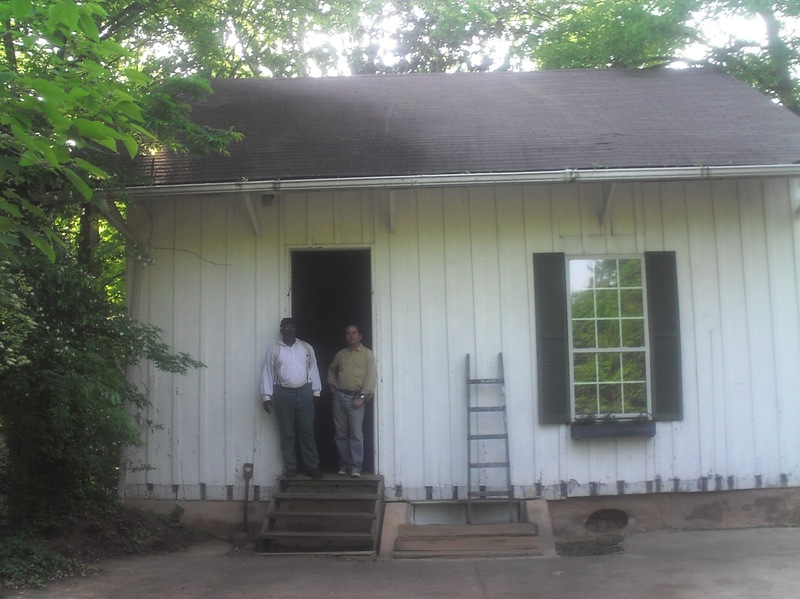 On Thursday, April 12, 2012, my first scheduled task was to conduct a lecture on the Slave Dwelling Project at Rust, a Historically Black College located in Holly Springs. This would not be a problem because I had spoken on this subject at many colleges and universities before. The group was small but they got the same lecture that a larger group would have gotten. Something on that campus really bothered me. The buildings that were once Mississippi Industrial College from 1905 – 1982 which gave rise to Rust College are all being neglected. It bothered me so much that I insisted on going back the next day to take photographs. That evening included an open reception at Montrose, the home of the Holly Spring Garden Club. A diverse crowd of influential people of Holly Springs were there and were treated to a presentation from me about the Slave Dwelling Project. They were treated to a bonus when Rhonda K. Peairs, Documentary Projects Coordinator of the William Winter Institute for Racial Reconciliation of the University of Mississippi in Oxford spoke to them. My first stay was at the Hugh Craft House Slave Quarters and Kitchen which is owned by Jenifer Eggleston and her husband Chelius Carter. I would be alone in the quarters that night which had not occurred since my stay at Cliveden in Philadelphia, Pennsylvania. Additionally, I slept in a bed which had not been done since my stay at Pleasant Hill Plantation in Missouri. The quarters was well researched which provided lots of information that could be used for its interpretation the next day. On three levels it included a basement which included a room for smoking meat; the first level included the kitchen and two separate living spaces; the third level was living space. Research revealed that Hugh Craft owned 9 slaves who serviced the current house that was built on the property in 1851. The next day, the people participating in the pilgrimage started to show up for their tour of the dwelling. This was interesting because some people showed up thinking that they were going into the main house which was not the case. Early in the process, a few people (and I stress a few) excused themselves once they found out the subject matter was about slaves who occupied the dwellings behind the big house. Maybe the title “Behind the Big House Tour” was a little misleading. Despite that, most of the people showed up because of what the title implied and listened intently throughout the presentation and asked meaningful questions afterwards and expressed their appreciation that Holly Springs had taken such a bold step. My hosts and I were most impressed by all the African Americans who showed up for the tour. They especially expressed their appreciation for adding this element to the pilgrimage. The only one spirited debate came when one Caucasian female couldn’t accept that chattel slavery was a bad thing. Dinner that night included a bonus. Nearby Oxford, Mississippi was our destination. 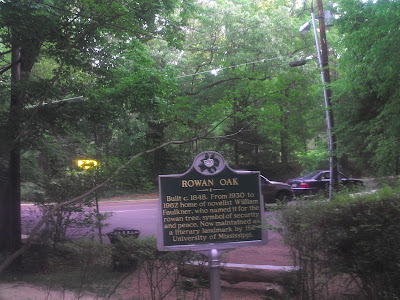 While there, I visited Rowan Oak, also known as William Faulkner House. 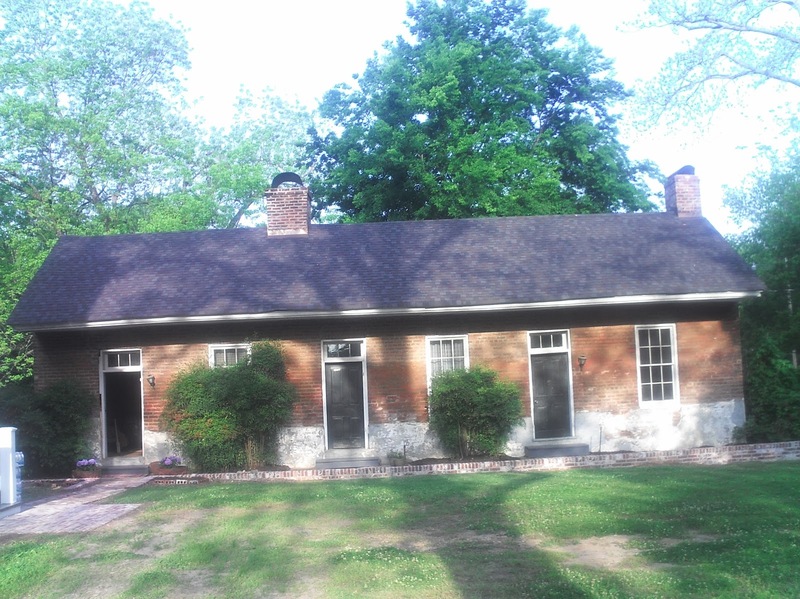 It is a primitive Greek Revival house built in the 1840s by Robert Sheegog. Faulkner purchased the house when it was in disrepair in the 1930's and did many of the renovations himself and lived there until 1962. The bonus was the fact that there is an intact slave dwelling on the property; moreover, I got an invitation to spend a night there which will certainly happen in the future. No disrespect to Mr. Faulkner, but unfortunately, while conducting my perfunctory research on Rowan Oak, I have not yet come across any information that mentions the intact slave dwelling, which further justifies this project. 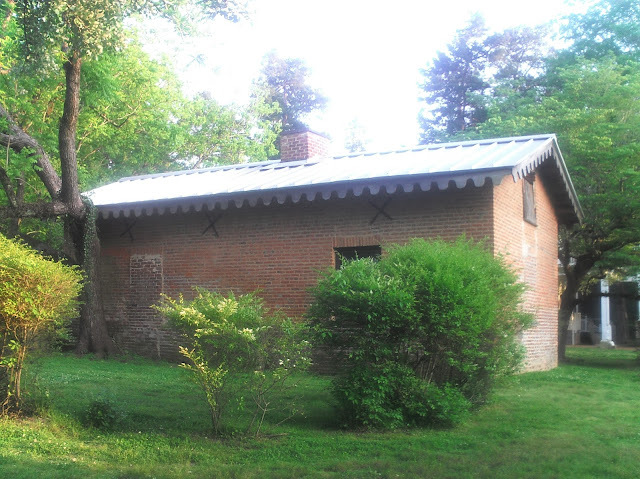 My second night stay would be at the slave dwelling located at Burton Place. The brick dwelling was behind the big house and to the right. It included a kitchen and two separate living spaces all on one level. For the second consecutive night, I slept in the dwelling alone and in a nice comfortable bed in the kitchen. I found the space to be over adorned knowing that anything that was not necessary for cooking would not be located in that space. Unlike the previous day, I was not provided with a lot of researched information on the past inhabitants of that space. This worked in my favor because I could draw on all the knowledge that I gained by sleeping in 33 other slave dwellings prior to this one. There was one interpretive sign inside the dwelling that was quite telling, from the 1850 census, it listed eight slaves by gender and age only. I found it interesting that in 1850 they would only have a first name but even that was not put on a census form. That could be very frustrating for someone doing genealogical research. The 1860 census revealed that the owner, Mary Malvina Shields obtained seventy-two additional slaves for a total of eighty. This increase in the number of slaves was an indication that she was a planter and was taking advantage of the cotton growing opportunities that existed. Throughout the day, a steady flow of people came through the dwelling to hear the interpretive presentation that I gave. Unlike the previous day, the participants had access to the mansion which worked out well because they all got a complete story. As time was winding down, I was feeling a bit dejected because no African Americans had come to the slave dwelling or the big house for that matter. Then it happened. One group of about twenty African Americans came to hear the presentation. The group listened intently and asked lots of questions after the presentation. The group leaders were local but the bulk of the group was from Ohio. The leaders stated that up until this point they never felt welcome at the pilgrimage and were thrilled that this year the Behind the Big House Tour was offered. 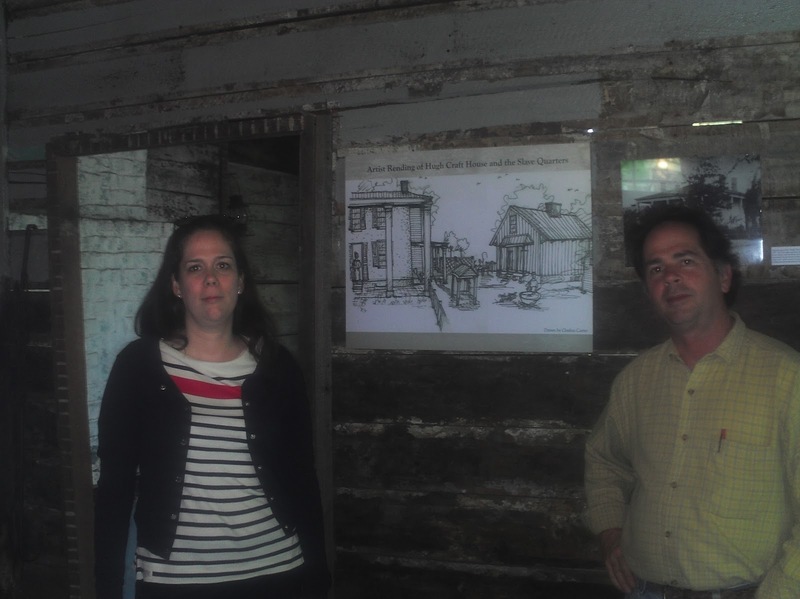 Prior to leaving Holly Spring, my host took me on a windshield tour of the other extant former slave dwellings. We looked for the telltale signs for slave dwellings, location, chimneys, windows, etc. For a relatively small town, I was surprised by the number that still exists. Some of the buildings have evolved into storage spaces, garages, pool houses or guest houses and some are just deteriorating. The success of participating in the Holly Springs Pilgrimage made me think about other established house tours and pilgrimages. Years ago, I would volunteer for the Preservation Society of Charleston, SC tour of homes. As I recall, all of the focus was on the mansions and not the outbuildings. For Holly Springs this was their 74th Annual Holly Springs Pilgrimage Tour of Historic Homes, I know that there are several other well established tour of historic homes in urban areas. Several of those homes in the north and south were built while slavery existed in those areas, therefore they may have outbuildings where slaves once lived. Additionally, one should not dismiss the possibility that they may have lived in the attics or basements of mansions. I now wonder how many other established house tours are willing to take the bold step that Holly Springs did and tell the stories of the slaves that lived in the outbuildings associated with the big house. Since starting the Slave Dwelling Project in 2010, I have had several revelations. In seeking extant former slave dwellings sometimes they are hidden in plain view especially when we factor in urban slavery. Some property owners may own some of these structures and not know their history. Some may know the history but for various reasons choose not to make it known to others. I am often asked how many extant slave dwellings still exist. I respond that factoring in urban slavery makes placing a number on those dwellings difficult. It could be less of a challenge to answer that question if we had more places like Holly Springs, Mississippi that are willing to tell the whole story of their built environment. town with its impressive collection of historic structures from several time periods. maintained many of these rare surviving buildings. of the people who lived and used these buildings was largely being forgotten. last week from April 12th through 15th. into another side of history, a much-needed addition of a missing historic narrative. encouraging for the continuation and development of this program. look forward to hosting Joseph and the Slave Dwellings Project in the future. Keep up the good work Joe! 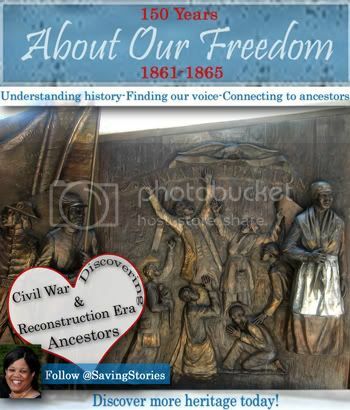 Our history is so important, remembering our ancestors most especially. I'm proud of you!